Kevon Cooper to Fabian Allen. Slower ball back of a length, wide outside off stump down the track driving, to mid on for 1 run, fielded by Ingram. Trinbago will join the Amazon Warriors on Sunday in the CPL final. An excellent display in the field there. Ali Khan and the two spinners were first class. The Patriots just didn't have the quality to have an answer. A fantastic game, let's hope the final can be just as good. Wide Kevon Cooper to Fabian Allen. Length ball, wide outside off stump on the front foot driving, missed to wicketkeeper for 1 run, fielded by Ramdin. OUT! Caught. Kevon Cooper to Carlos Brathwaite. Off cutter length ball, outside off stump on the front foot Slog, mis-timed in the air uncontrolled to deep mid wicket, by Bravo. 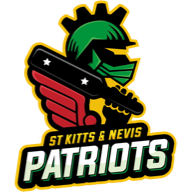 The end of Brathwaite, and the end of the Patriots in this year's CPL. Tries to go for a consolation six, but cannot get the connection. Bravo is lingering on the boundary edge to snap it up. Kevon Cooper to Fabian Allen. Yorker, outside off stump down the track driving, to long on for 1 run, fielded by Ingram. Kevon Cooper to Carlos Brathwaite. Full toss, outside off stump on the front foot Slog, to deep mid wicket for 1 run, fielded by Bravo. Kevon Cooper to Fabian Allen. Length ball, outside off stump on the front foot Slog, hit pad to silly point for 1 run, fielded by Ramdin. Kevon Cooper to Carlos Brathwaite. Yorker, outside off stump on the front foot driving, to extra cover for 1 run, fielded by Phillip. SIX! Dwayne Bravo to Fabian Allen. Half volley, outside off stump on the front foot driving, well timed in the air under control over deep extra cover for 6 runs. Allen giving the Patriots the smallest of hope. Lofted cover drive that sails deep into the stand. SIX! Dwayne Bravo to Fabian Allen. Full toss, outside off stump down the track driving, well timed in the air under control over deep cover for 6 runs. The power from Allen is outrageous. Hit extremely flat, and somehow it travels all the way for six. Dwayne Bravo to Carlos Brathwaite. Full toss, off stump on the front foot driving, to long off for 1 run, fielded by McCullum. Dwayne Bravo to Carlos Brathwaite. Yorker, outside off stump on the front foot driving, to long off for 2 runs, fielded by McCullum. Dwayne Bravo to Fabian Allen. Full toss, outside off stump on the front foot driving, well timed in the air under control to long off for 1 run, fielded by McCullum. Dwayne Bravo to Fabian Allen. Yorker, outside off stump on the front foot driving, missed to wicketkeeper for no runs, fielded by Ramdin. Ali Khan to Carlos Brathwaite. Yorker, outside off stump on the front foot driving, to short extra cover for no runs, fielded by Khan. SIX! Ali Khan to Carlos Brathwaite. Full toss, off stump on the front foot Slog, well timed in the air under control over deep mid wicket for 6 runs. The perfect delivery for Brathwaite to go big. Clears the front leg, and clobbers over wide long on. Ali Khan to Fabian Allen. Half volley, wide outside off stump moves in front driving, to extra cover for 1 run, shy attempt by McCullum, overthrow by McCullum, fielded by Bravo. FOUR! Ali Khan to Fabian Allen. Full toss, outside off stump on the front foot driving, well timed past third man for 4 runs. Allen opens the face, and slices this powerfully past third man. The strength in the wrists shown there. Ali Khan to Carlos Brathwaite. Full toss, outside off stump on the front foot driving, thick edge to third man for 1 run, fielded by Bravo. Ali Khan to Carlos Brathwaite. Length ball, outside off stump on the front foot driving, to extra cover for no runs, fielded by McCullum. Wide Ali Khan to Carlos Brathwaite. Length ball, wide outside off stump on the front foot Slog, missed to wicketkeeper for 1 run, fielded by Ramdin. SIX! Dwayne Bravo to Fabian Allen. Off cutter half volley, outside off stump on the front foot driving, well timed in the air under control over deep extra cover for 6 runs. Too late for big hits like this. Allen crushed this drive up and over the extra cover fence. Beauty of a strike, but they need a few of them every over now. Dwayne Bravo to Fabian Allen. Yorker, outside off stump no foot movement Steer, missed to wicketkeeper for no runs, fielded by Ramdin. Dwayne Bravo to Fabian Allen. Off cutter length ball, outside off stump on the front foot Slog, to deep mid wicket for 2 runs, fielded by Munro. Dwayne Bravo to Fabian Allen. Yorker, outside off stump on the front foot driving, to extra cover for no runs, fielded by Phillip. Dwayne Bravo to Carlos Brathwaite. Full toss, outside off stump on the front foot driving, to deep backward point for 1 run, fielded by Ingram. Dwayne Bravo to Carlos Brathwaite. Half volley, outside off stump on the front foot Slog, missed to wicketkeeper for no runs, fielded by Ramdin. Fawad Ahmed to Carlos Brathwaite. Googly length ball, outside off stump on the front foot defending, inside edge to short leg for 1 run, fielded by Ramdin. Fawad Ahmed to Carlos Brathwaite. Leg spinner length ball, outside off stump on the front foot defending, to short extra cover for no runs, fielded by McCullum. Fawad Ahmed to Carlos Brathwaite. Leg spinner yorker, middle stump on the front foot working, to mid wicket for 2 runs, fielded by Bravo. OUT! L.B.W. Verified by umpire after REFERRAL. Fawad Ahmed to Ben Cutting. Leg spinner length ball, off stump on the front foot sweeping, hit pad to. Fawad is ripping through the Patriots line up. The final is awaiting for Trinbago. Cutting down on the sweep, can't get any bat on it, and is struck right in front. Reviewed in hope, but three reds on HawkEye confirms the umpire's original call. Fawad Ahmed to Ben Cutting. Leg spinner length ball, middle stump on the back foot working, to mid wicket for 2 runs, fielded by Bravo. OUT! Stumped. Fawad Ahmed to Anton Devcich. Googly back of a length, to leg down the track Slog, missed to wicketkeeper, by Ramdin. Fawad too good. Devcich comes sprinting out the crease, takes his eyes off the ball, and gets nowhere near making contact. Big turn away past the edge, and Ramdin mops up with the gloves. The Patriots struggling now. Ali Khan to Anton Devcich. Length ball, off stump on the front foot Slog, to long on for 1 run, fielded by Bravo. Ali Khan to Fabian Allen. Full toss, outside off stump on the front foot driving, to long off for 1 run, fielded by Bravo. Ali Khan to Anton Devcich. Off cutter length ball, to leg on the front foot Slog, to deep mid wicket for 1 run, fielded by Bravo. Ali Khan to Fabian Allen. Full toss, off stump on the front foot driving, to long on for 1 run, direct hit by Cooper. Ali Khan to Anton Devcich. Off cutter back of a length, down leg side on the back foot pulling, well timed to deep backward square leg for 1 run, fielded by Ingram. Ali Khan to Fabian Allen. Yorker, outside off stump on the front foot driving, to deep backward point for 1 run, fielded by Ingram. Sunil Narine to Fabian Allen. Carrom ball back of a length, outside off stump on the back foot pushing, to cover for 1 run. Sunil Narine to Fabian Allen. Carrom length ball, middle stump no foot movement defending, to short leg for no runs, fielded by Ramdin. Sunil Narine to Fabian Allen. Carrom ball back of a length, outside off stump on the back foot Steer, to first slip for no runs, fielded by McCullum. OUT! Bowled. Sunil Narine to Brandon King. Carrom ball half volley, middle stump on the front foot slog sweeping, missed to. Narine finds a way through. King was playing nicely there, so a good wicket to pick up. Too full to play the sweep, and the ball scoots underneath the bat to uproot leg stump. 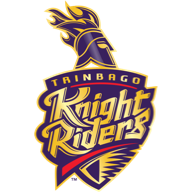 Sunil Narine to Brandon King. Carrom ball back of a length, outside off stump on the back foot pulling, to long on for 2 runs, fielded by Ingram, fielded by Bravo. Sunil Narine to Anton Devcich. Off break back of a length, down leg side on the back foot pulling, to long on for 1 run, fielded by Phillip. Dwayne Bravo to Anton Devcich. Full toss, down leg side down the track flick, to long on for 1 run, fielded by Phillip. Dwayne Bravo to Brandon King. Full toss, outside off stump down the track pushing, to point for 1 run, fielded by Ingram. FOUR! Dwayne Bravo to Brandon King. Half volley, outside off stump on the front foot driving, well timed in the air under control past deep point for 4 runs. At full stretch to reach this one, and belts this square drive away to the point fence. Dwayne Bravo to Brandon King. Length ball, outside off stump on the front foot driving, missed to wicketkeeper for no runs, fielded by Ramdin. Dwayne Bravo to Anton Devcich. Off cutter length ball, outside off stump on the front foot dropped, to backward point for 1 run, fielded by Khan. Dwayne Bravo to Brandon King. Half volley, outside off stump on the front foot driving, well timed to deep backward point for 1 run, fielded by Ingram. Fawad Ahmed to Anton Devcich. Googly back of a length, off stump down the track working, hit pad to short leg for no runs, fielded by Ramdin. Fawad Ahmed to Anton Devcich. Googly length ball, middle stump on the back foot defending, to short extra cover for no runs, fielded by McCullum. Fawad Ahmed to Brandon King. Leg spinner half volley, off stump on the front foot driving, to long on for 1 run. Fawad Ahmed to Brandon King. Leg spinner length ball, to leg on the back foot flick, to deep mid wicket for 2 runs, fielded by Bravo. OUT! Caught. Fawad Ahmed to Evin Lewis. Leg spinner length ball, off stump on the front foot slog sweeping, top edge in the air uncontrolled to mid wicket, by Munro. Lewis' horrendous form with the bat continues. Front leg out the way to heave over the legside, but a big top edge is gobbled up from the man running in from deep mid wicket. The equation gets harder for the Patriots. Fawad Ahmed to Brandon King. Googly length ball, outside off stump on the back foot cutting, inside edge to short fine leg for 1 run, fielded by Narine. Dwayne Bravo to Brandon King. Off cutter full toss, outside off stump on the front foot driving, to long on for 1 run, fielded by Ingram. Dwayne Bravo to Evin Lewis. Half volley, down leg side on the front foot driving, to long on for 1 run, fielded by Phillip. Dwayne Bravo to Brandon King. Yorker, outside off stump on the front foot driving, to mid off for 1 run, fielded by Phillip. Dwayne Bravo to Brandon King. Half volley, middle stump on the front foot flick, hit pad back to bowler for no runs, fielded by Bravo. FOUR! Dwayne Bravo to Brandon King. Back of a length, outside off stump on the back foot flick, well timed past fine leg for 4 runs. Clipped off the hip past short fine leg! Back to back boundaries for King. Wayward start from the TKR captain. FOUR! Dwayne Bravo to Brandon King. Back of a length, outside off stump on the back foot Late Cut, well timed past third man for 4 runs. Wonderful shot. The back-cut from King, and he plays it expertly. Watched it all the way onto the bat and found the gap well.